The Victorian Coalition Government has today released its energy policy document, Victoria’s Energy Statement. The plan has drawn criticism from renewable energy advocates at Friends of the Earth. The government’s plan takes a “business as usual” approach that fails Victorians. 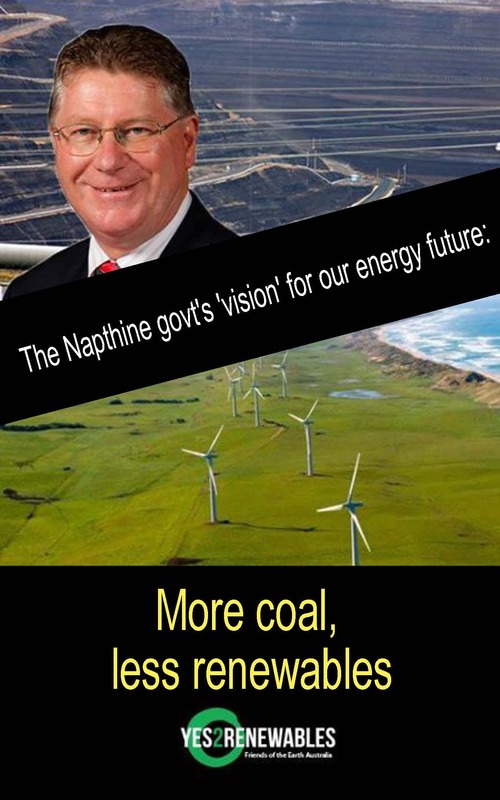 The plan alludes to greater reliance on coal electricity generation, and continued allocation of public funds to find new uses for our dirty brown coal. “The government has unveiled an energy plan that belongs in the 1960s, rather than the 21st Century vision that Victorians want from our political leaders” said Friends of the Earth campaigns co-ordinator Cam Walker. 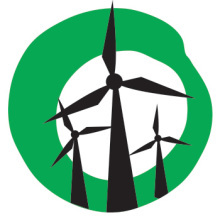 Friends of the Earth also says the government’s references to renewable energy are tokenistic. “The government has no plan to drive the rollout of renewable energy. That’s what Victorian want,” said renewable energy spokesperson Leigh Ewbank. Polling commissioned by the Climate Institute found 71 per cent of Victorians support state government policies that encourage more renewable energy (see page 23). “If the government wants to increase competition in the energy market, then it must dump its bans on wind farms and introduce a Victorian Renewable Energy Target. Victoria’s Energy Statement cites the growth of renewable energy in Victoria over the last five years as an achievement. Yet expansion in the renewable energy sector is largely due to wind farms approved by the Brumby government. “Today, the Napthine government won the cuckoo award. It has taken credit for the benefits wind farms approved by the former government,” added Mr Ewbank.